These Display Cabinets Have a Swinging Glass Cover and a Black Finish Wood Case! 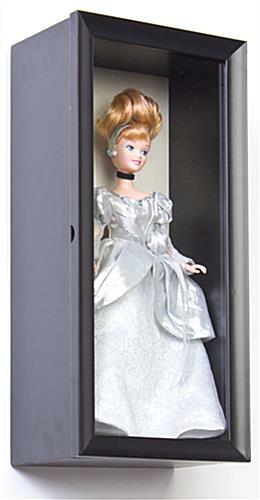 Stylish Custom Look Cabinet Holds Dolls or Bottles Vertically or Horizontally! 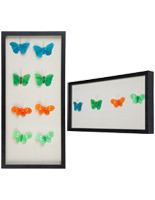 Display Cases Look Great Anywhere so Order Online Today! 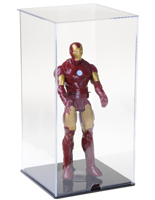 These glass display cabinets highlight the finer points of your favorite figurine! Each unit comes custom with a glass window, rather than plastic. As a result, the display cabinets with swinging doors will shield your prized possession from harm. 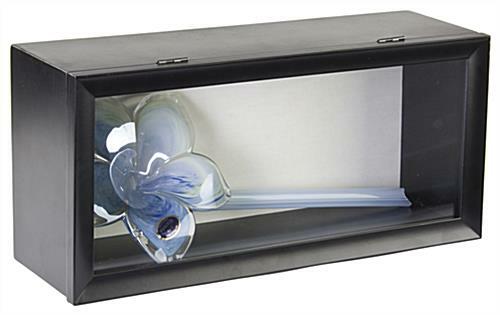 This unit, unlike glass or acrylic domes, features wall mounting hooks on the back, enabling users to mount the showcase on a wall. However, users can also place this item on a counter or table as well! 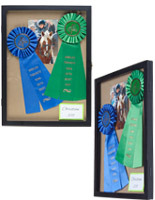 These display cabinets that hold collectibles, like other custom wall-mount showcases, prove useful both in a professional setting and at home. These products offer a more formal alternative to glass domes, with their sleek black finish. These wall showcases are fashioned from MDF wood and glass. 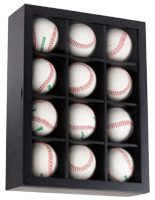 These memorabilia holders, display cabinets that have hinged doors feature a magnetic catch, which provides easy access to displayed memorabilia. 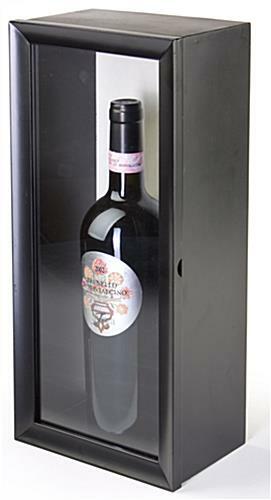 A rectangular shape gives this showcase box the versatility to be shown both horizontally and vertically to display a variety of items, such as glass figurines, sentimental bottles of wine and more. This design is unlike plastic displaying domes, which can only be presented in one direction. 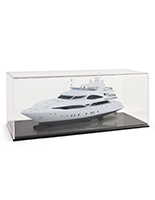 This unit is built custom to fit dolls of varying sizes, but can also be used to showcase various other objects. The case can hold figurines 6"w x 14" h x 3-1/2"d.